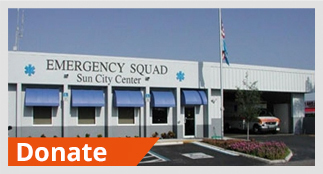 For more than 50 years, the Emergency Squad has served the residents and community of Sun City Center, 24 hours a day, 7 days a week. We are "Neighbors Helping Neighbors," here when you need us. The Squad was visited by Cub Scout pack 205 recently to learn about Emergency services. INTERFAITH COUNCIL PROVIDES GRANT Pictured here upon delivery of the grant monies are Chief Mike Bardell; Doug Campbell, Grant Committee Chair; and Janet Caruthers, Grant Writer. The Squad was recognized by the Hillsborough County Commissioners for their 50 years of service to the community. The power to help others is in your hands. 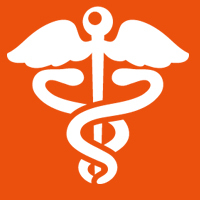 You don't need to be an experienced healthcare professional, we train! 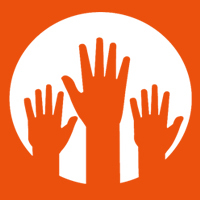 Come find out why helping your friends and neighbors in their hour of need, will be one of the most meaningful volunteer jobs you'll ever do. We provide Basic Life Support (BLS) emergency services, wheelchair van transportation to appointments for those who are wheelchair bound, blood pressure checks and more - all at no cost. Everything we do for our community is free. 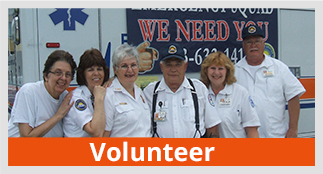 Sun City Center Emergency Squad was started in 1964 by 14 “first aiders” trained by the Red Cross. Today we are over 400 volunteers consisting of licensed Emergency Medical Technicians, Emergency Medical Responders, Emergency Medical Responder-Drivers, and Dispatchers. Support staff consists of receptionists, mechanics, washers, sanitizers, instructors, technicians, maintenance and administrative staff. With our computerized key locator program, your Sun City Center Emergency Squad is ready to help you in any medical emergency. 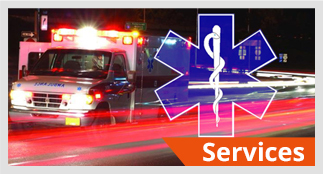 We will respond to your call for emergency medical assistance 24 hours a day, 365 days a year. In the summer of 1964, a wise group of Sun City Center citizens had the foresight to begin a group of first aiders to assist ill and injured community residents. Since then the community has embraced the Squad as much as the Squad has embraced the residents. Without community support, the Squad would not have become the organization it is today. Perhaps it would not be here at all. Today we have almost 400 volunteers during our “peak season” who serve their community and help their friends and neighbors when they are in need. Our ambulance crew volunteers number approximately 120, but many are seasonal, some are still fully employed and there are always a few who are on medical leave. We are always looking for new volunteers to help fill those absences. Our slogan is “Neighbors Helping Neighbors.” And for over 50 years we have been doing that. In 2014, we celebrated our Golden Anniversary and we want to acknowledge the community – the individuals, churches, clubs, businesses and organizations who have supported us over these many years. There are too many to name. But thank you all. Our Basic Life Support Emergency Medical Technicians generally have more than 250 hours of training to attain their certification, plus many more hours of on-the-job experience. The Emergency Squad responds to nearly 5,000 emergency calls each year in Sun City Center. SCC-EMS maintains 4 Type I ambulances and 1 wheelchair vans. We cover approximately 20,000 residents in Sun City Center during the peak season. We have two buildings: our main Station at 720 Ray Watson Drive where our ambulances are dispatched from and our Training Center at 124 S. Pebble Beach. We keep in touch with our own Facebook page. Check it out. 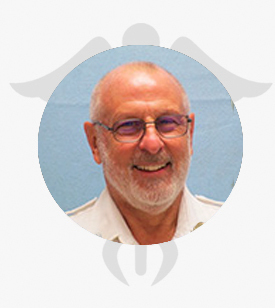 We offer training in cardiopulmonary resuscitation certified by the American Heart Association. The class typically takes less than 12 hours to complete. Blood Pressure Checks available 7:30-5:00pm. Internal site | Copyright © 2019. All Rights Reserved.